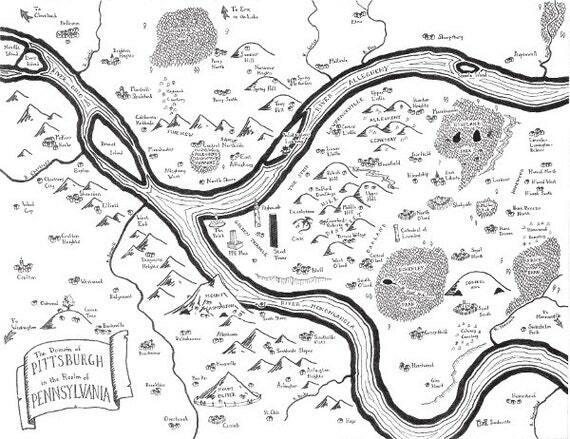 Those who fancifully refer to their daily commute as “there and back again” will likely be excited to learn that Stentor Danielson, assistant geography professor by profession and whimsical cartographer at heart, has been creating maps of major American cities like Cleveland and Pittsburgh in the style of fantasy author J.R.R. Tolkien. 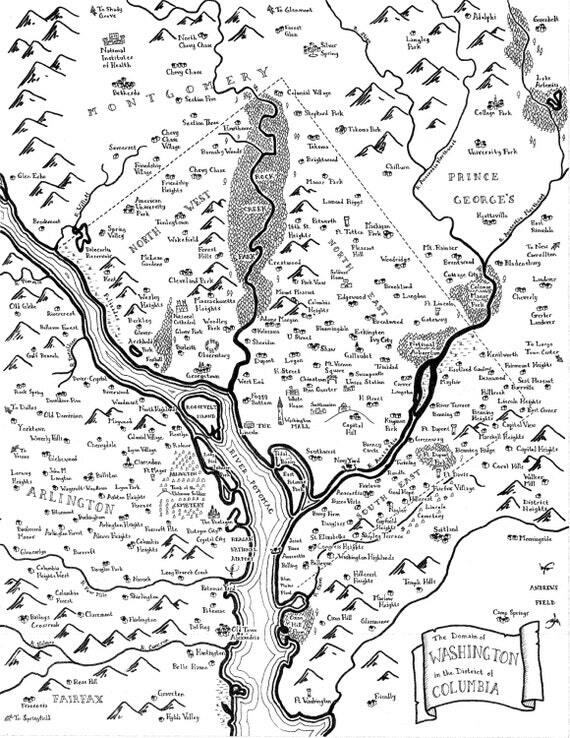 In addition to his de riguer Etsy store, a seeming must for endeavors of this nature, Danielson also maintains a densely-illustrated Tumblr called Mapsburgh, where he showcases his own work as well as that of other fantasy-minded artists and creators of odd, impractical things. ...The artist, who describes his work as “delicate” (read: alarmingly fragile), also takes requests. It says he takes requests... do you think he would do Hogwarts?? Those maps look awesome! I will have to check out that Etsy shop. I love Etsy. I find the best stuff there! I know, right?? Etsy is the BEST. I thought so, too! Totally awesome. These are really neat. 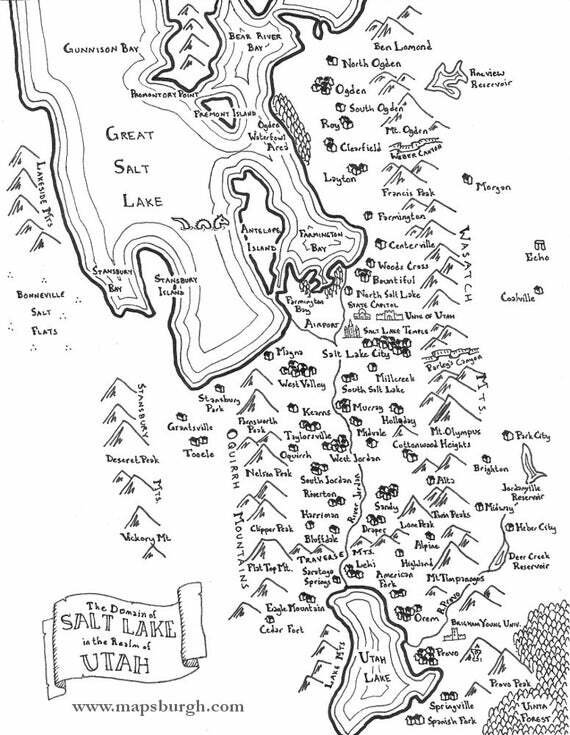 I love the way the maps look in The Lord of the Rings and The Hobbit. I want the one of Utah, lol! It's such a great idea - instead of trying to recreate Middle Earth, he simply Middle Earthifies our own cities. Brilliant.